Even the humble soya chunks become royal when floated atop a rich "Shahi" white gravy. Drain out the water and also the foam that forms on top of the onions and cashew mix when cooking as the flavour will be spoilt if you keep the foam on. A bhindi curry, which becomes rather exotic-thanks to the interesting grated tofu stuffing. The onions are grated to give a smooth texture to the gravy. If made as a sukhi (dry) subzi by simply cooking in oil without the masala, it makes for a great snack too. 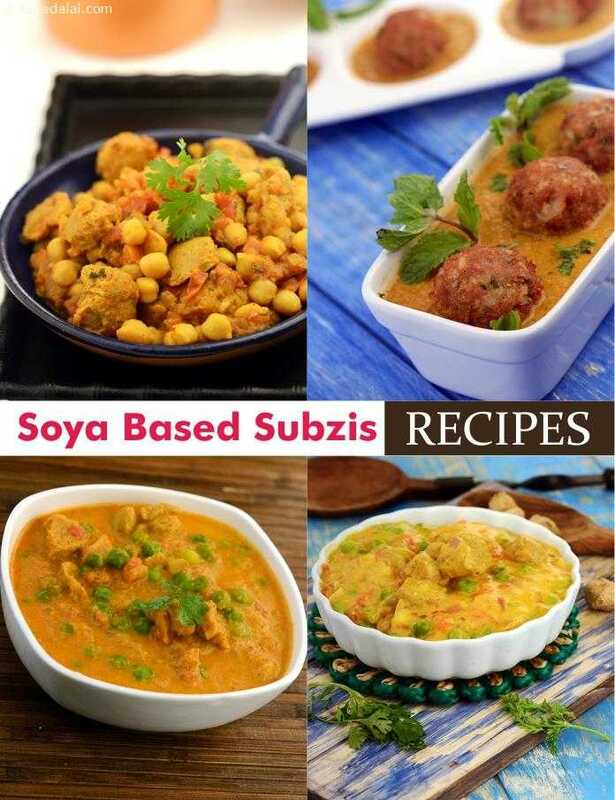 Soyabeans add a surprising element to this scrumptious spinach subzi!